Take a spontaneous camping trip to SPARK to satisfy your sweet tooth with your favorite chocolatey, gooey treat... S'MORES! NATIONAL S'MORES DAY, come indulge in an undeniably delicious, perfectly golden, graham cracker masterpiece!! With 4 deluxe fire pits and extra toasting stations, you don't need to leave the city to make memories around the campfire. Plus, taste the grownup side of this childhood classic with a High Water Brewery Campfire Stout, served with a graham rim and a chocolate dipped marshmallow on top! Camping at SPARK really is s’more fun! - $5 personal s'mores kits – enough to make three loaded s'mores! - At the bar, special High Water Brewing Campfire Stout, served in a graham-cracker-rimmed glass, with a marshmallow on top! 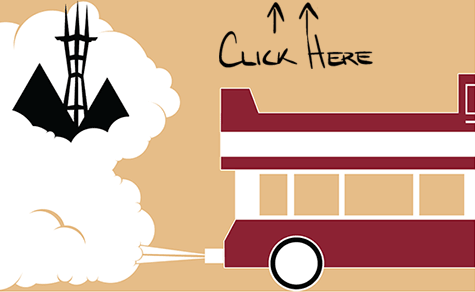 Visit the Facebook Event for food truck list, s'mores specials, and live updates! Sponsored by High Water Brewing!